What’s that vacant lot next door to my home? As both a real estate agent and an appraiser, I look at the entire neighborhood, not just what’s next door. I can remember a property in Merrimack I was working on at the end of a cul-de-sac. Nice quiet neighborhood, but through my research you could see the subdivision ends with a couple large lots, one of which is zoned for commercial uses. It was just under 100 acres with frontage on a main route. 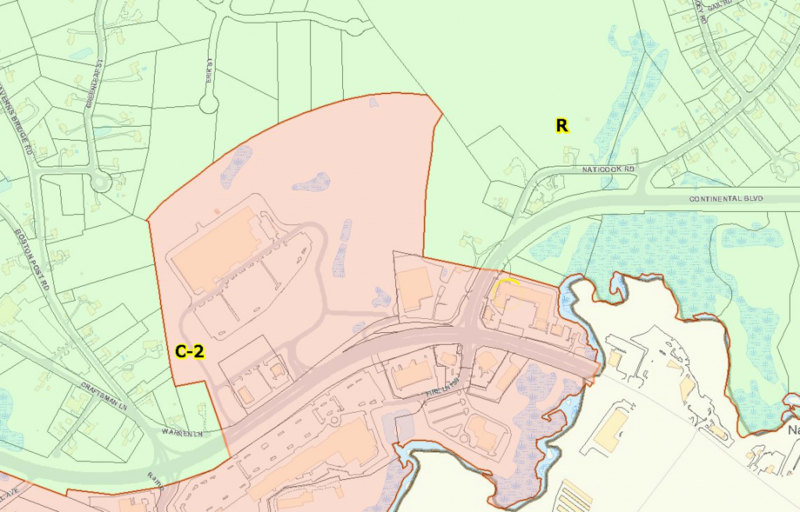 Here’s the GIS map with the zoning overlay of the area now. The R is residential, the C-2 is commercial area that was in place, but the large commercial building was built after. Sure enough a few years later a large “box” store opened and you could definitely hear, and “see”, the noise through the neighbors yard. Can you imagine buying your new home on this quiet cul-de-sac, and then a few years later having this happen? Google maps is the easiest first step. Zoom in, do the street view (little yellow man icon) and look around. Of course Google Earth is stunning, A 3D globe. My favorite is using a GIS viewer you can usually find on a towns website. Do a search for GIS and the name of the town/municipal location. GIS stands for Geographic Information Systems and it is an overlay mapping system combing lots, zoning, wetlands, and all sorts of information. For more information about GIS mapping here’s my previous post on GIS maps in New Hampshire communities. Online deeds and/or plans. Here in New Hampshire we have www.NHdeeds.com and you can look up your deed in most counties. From the deed you can get the subdivision plan # in many cases. 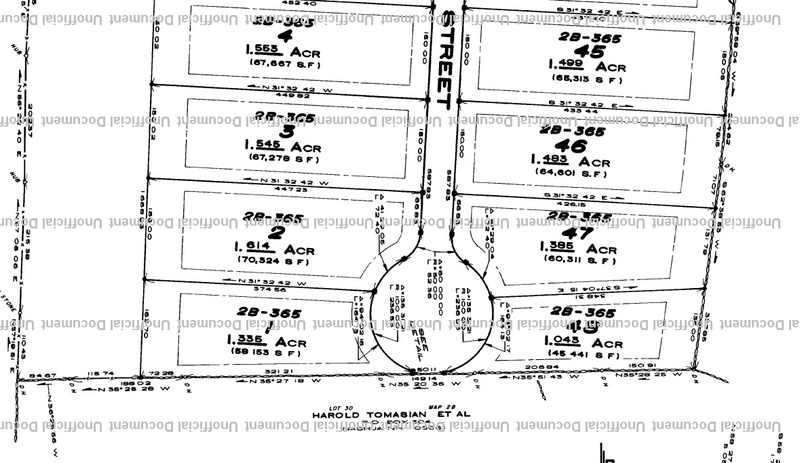 Enter the plan # and you get the subdivision plans. Really great information! It could be the property is one street over from a major highway, a property with only 2-bedrooms, or industrial zoned land next door, they may not perceive it as a negative. Do the majority of home buyers see it that way? I help my clients become informed, for the future marketability of the property. From Everything Real Estate with Jenn, post What’s that vacant lot next door to my home? It’s about time I did some graphs for Pelham. After all, I’ve been living here for over 2 years now (time flies). Since moving here the Pelham market has only just come out of it’s slump at the beginning of this year. 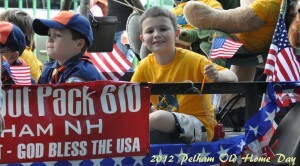 It’s looking solid in the Pelham NH real estate market! Below are 2 graphs I ran on properties for existing single-family homes in the previous 6 years. Higher end properties have finally started to sell, huge increase in activity, the days on market to sell has gone down, and you won’t catch me saying prices are going up…but, multiple offer situations in entry-level homes have been happening. That’s a significant upswing in pending home contracts in the last few months. Look at that obvious seasonal real estate CYCLE! 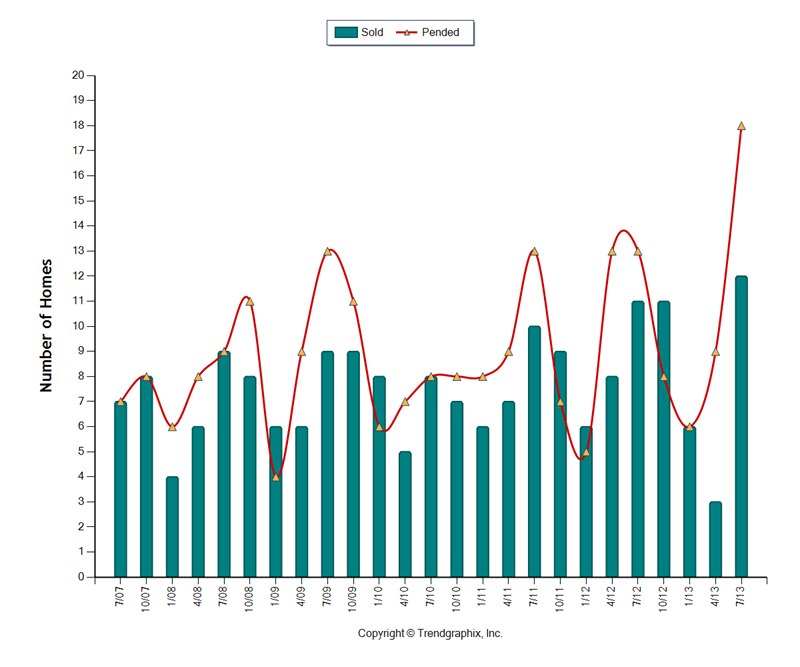 The next graph shows the decrease in the days on market- the time it takes to sell a property in Pelham. Seeing the large decrease this year indicates an increase in demand. The days on market in Pelham have gone way down this year! Real Estate in Pelham, Nashua, Salem, Merrimack, Amherst, and Windham. Time for another market update. What’s going on? I decided to expand my data to include all of Hillsborough county, NH. Some of the towns in Hillsborough are: Amherst, Bedford, Hollis, Hudson, Litchfield, Manchester, Merrimack, Milford, Nashua, and Pelham. May and June are the busiest months in New Hampshire. This chart shows 3 years of June activity. 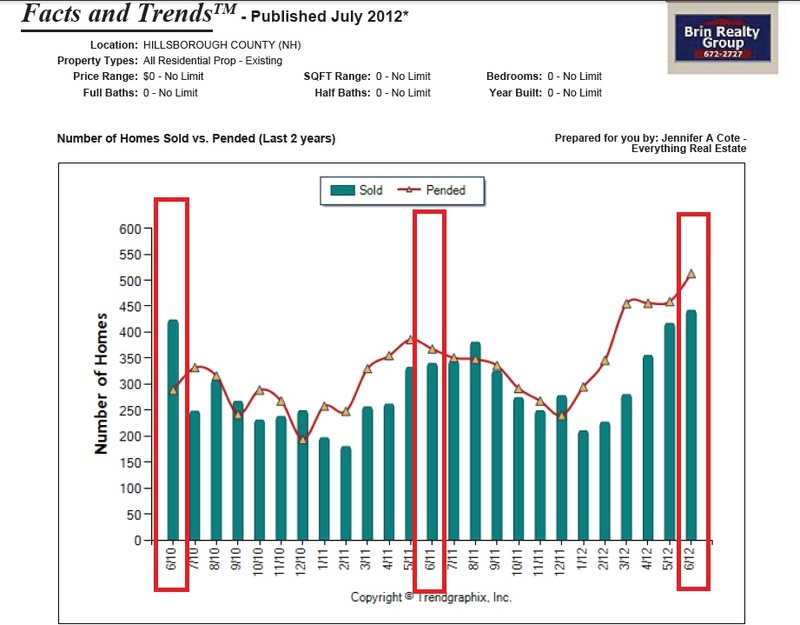 What’s real interesting is this year and 2010** are similar in sales, but pending listings have jumped up this year! That means in the next 2 months you are going to see a large increase in closed sales over the last 2 years. This is great news for the real estate market! The market has stabilized, many towns in this area are experiencing multiple offer situations, marketing times have decreased, and interest rates are crazy low! **Let’s not forget, 2010 was the year of the tax credit for new buyers which artificially inflated the activity that year. This is a big weekend for Merrimack, NH. The much anticipated grand opening celebration for the Merrimack Premium Outlets. Located right off the highway, Exit 10 on Route 3, it will be very easy to find. Ann Taylor, Banana Republic, Bloomingdale’s Outlet Store, Calvin Klein, Coach, Cole Haan, DKNY, Elie Tahari, J.Crew, Lucky Brand, Michael Kors, Nike, Polo Ralph Lauren, Saks Fifth Avenue Off 5th, Talbots, Tommy Hilfiger and more. I know I’m excited, but I’ll wait until the buzz dies down before heading there. What? There’s a Chico’s? You may see me there this weekend after all. 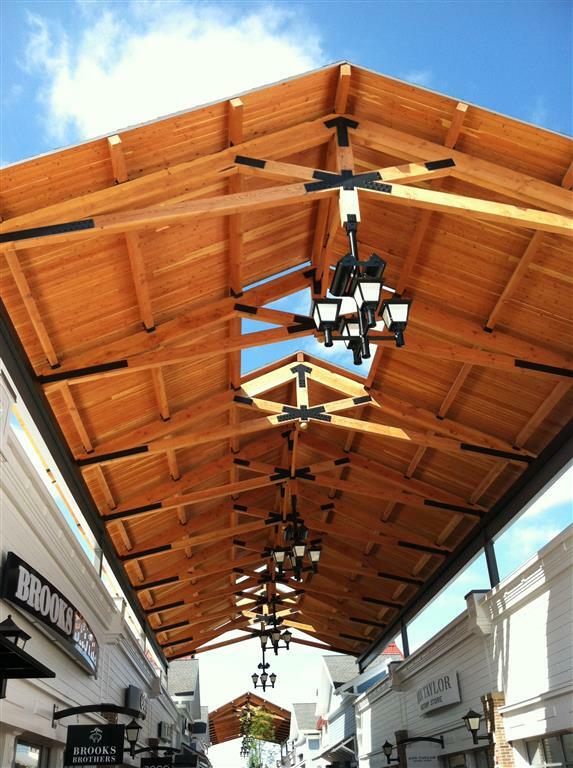 Looks like a covered bridge, love the architecture of this outdoor mall! How skewed can the market data be? Every market has submarkets, so when you watch the news about double digit declines- it’s all the markets combined. A cookie-cutter subdivision with a price point of $350,000 and up may show a larger decline than an entry-level subdivision. A contemporary home on a lake may show no decline. Bank-owned properties would most likely show the largest decline. All this within the same timeframe/market. They are examples of submarkets…move-up (mid level), entry level, standard cookie cutter, vacation, lake front, bank-owned, or unique style properties. So depending on what submarkets posted the most sales it would skew the overall market data. Knowing this you can now postulate that these huge declines are due, in part, from most sales being bank-owned or entry-level in the past 6 months so it is a false representation of the market. 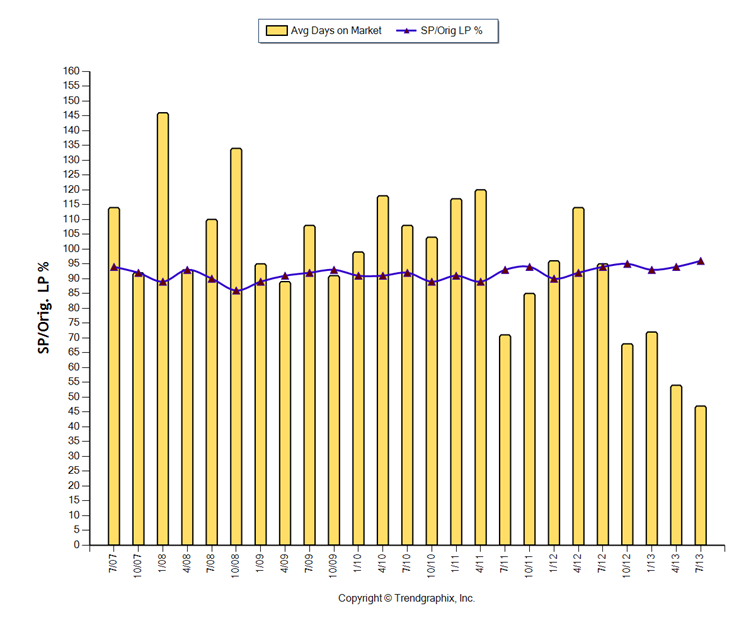 From Everything Real Estate with Jenn, post How skewed can the market data be?